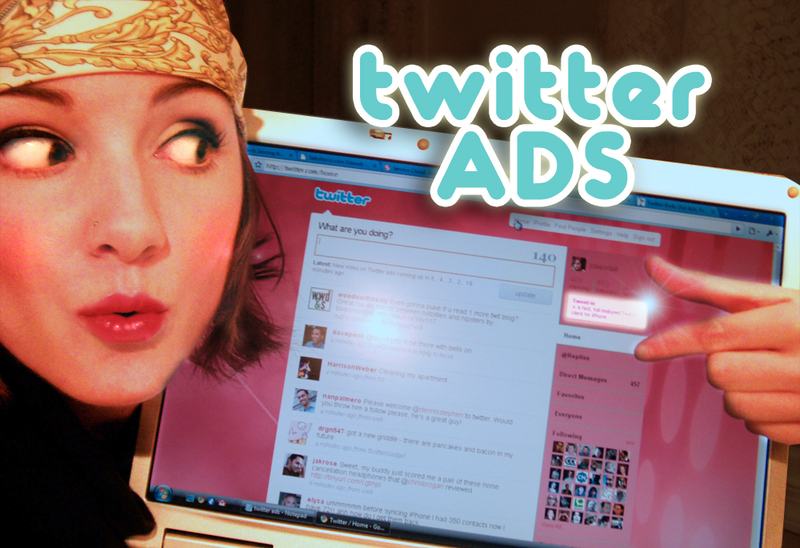 Alas, that sigh was preemptive celebration; the ads are not generating revenue for Twitter. They are being run free of charge for the third-party sites. As the old timers would have it, "Hold the applause and drop your drawahs." So far, Twitter users' responses to the ads run the gamut from indignant to pleased to suspicious to impervious to simply curious. Our response to the whole shebang is unqualified incredulity. The third party sites have seen measurable spikes in traffic, as confirmed by some low-level online snooping; but this is no shocking revelation. Another sad note in the "Evan Williams Ain't Makin' No Paper" saga is the Salesforce.com rollout of a Twitter-enabled CRM program. It's a great and necessary tool; this item is sad only because Twitter could (and perhaps should) have gotten to this first and made a viable business model out of creating paid or subscription tools for B2C accounts. Yet another Twitter user reports seeing "suggested users" (Hey, look! It's Pete Cashmore!) on the sidebar in his UI (others have suggested the idea of "recommended users" as a path to monetization; see last paragraph). Julio also came up with some pretty good stream-parsing, relevant-ad-serving ideas that knock the current ad scheme outta the ring. Details and eyelash-batting in the vid. Some of us picked the wrong time to quit drinking; this is a dark day for startups everywhere. The least they could do is prove that they can make *some* revenue, even if it's only a dollar or two. As it stands now, it seems like they're just waiting for the buyout gravy train to pull into the station so that they can let someone else figure it out. My gift to YOU is the origin of my name. Enjoy! "Here's hoping Google buys another Evan Williams project and uses that super-rich data stream to target ads based on... (insert list of factors here)"
Thanks for the shout out. Interesting that they are not charging but simply "testing" the first three. Not a bad idea if they want to build a case study on their own terms. I see what you're saying, but it's also not a great way to build a case study because 1) they're only testing three ads, 2) the ads are only for Twitter apps, and 3) they're being served universally instead of in a targeted way (which is, I think, the agreed-upon value of Twitter ads; that is, the mining of the data stream for keywords and conversations to allow for microtargeted ad service). Any data they get from this is going to be next to useless. Will the clickthrus or leads be qualified? Will the traffic compare in any real way to the kind of traffic that would result from a targeted ad? The answer on both counts is a definite "no." The only thing this experiment has done is prove that ad space can be created without significantly disrupting the UI. It seems that Twitter remains all innovation, zero business model (internally, at least). And yeah, it looks as though they're priming for a lucrative exit. It's easy for everyone to voice an opinion on how Twitter should monetize. They have built up a brilliant concept... which makes me believe they have something up their sleeve. Go Twitter! As it is, people are absolutely salivating over ad opportunities on Twitter, and we haven't yet seen Twitter pimp out its most lucrative asset: THE DATA. Also, if you'll recall, back in the mists of time (2003) when Blogger was sold to Google, their monetization scheme was basically having users pay for "premium" features, which Google quickly made free. I don't think making money is Williams' (et al.) strong suit. I think innovation and exit are where his team's strengths lie. Historically, at least. Nice write up, Jolie. There are so many ways to slice the money making proposition for Twitter that taking a guess at how they should do it, is merely that, a guess. For now, I'll continue to use it, cost free, to connect with fun and smart people. Can't make too much money too fast or stir people up over their data. Not PC. Better to be a ninja and sneak it in without the nasty Capitalist label. Right now everyone is holding hands and playing with a great idea. Money? What money? Personally, I am delighted by the innovation and am looking for the forward motion and change that is always present when differences and competition are in the blender together. So girl, what are you taking on next? "Trickle-down economics"?